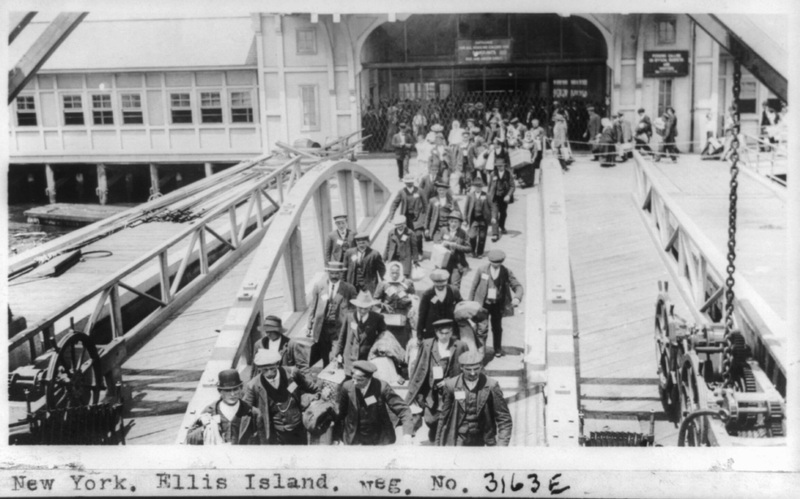 To assist these immigrants, many benevolent and aid societies were created. They offered resources to the newly arrived, and helped many establish themselves in the United States. Similarly, immigrant guides were also produced and circulated during this time period. These very practical guides offered advice before and after immigration, and sought to provide tips and useful knowledge. They informed the immigrant about what to do upon arrival in America, who to avoid, and how to adjust to their new life. One of the more interesting guides that I have discovered was written for Danish immigrants. In 1911, Holger Rosenberg compiled a list of one hundred tips entitled 100 nyttige Raad for Udvandrere samt en Vejleder i alle Forhold vedrørende Udvandring til de Forenede Stater, tilligemed Ordbog, Taleøvelser, Kort, etc. Translated by the Museum of Danish America, this guide sought to provide Danish immigrants with advice for every step of their journey. Though some of these tips seem like common sense to you and me, one purpose of this guide was to reinforce the fact that you were no longer surrounded by family, friends, and neighbors. America could be a dangerous place, and you could very easily be taken advantage of. These guides also encouraged individuals to strike a balance between their old life and their new life, something which was undoubtedly difficult to achieve. On top of learning a new language and adjusting to new social customs, they had to navigate their way through busy cities, boarding houses, and transportation systems. Examining these guides can offer a little insight into the many challenges that our ancestors faced upon arrival in America, and remind us just how difficult their experience must have been. Out of all of these tips, I found tip #41 particularly amusing – “Don’t worry about your baggage. Once it has been tagged, it will come to your precise destination.” I’ll believe it when I see it! Guides like this are a telling clue to the culture of America, at least urban America. Not all of these things seem evident to all Americans, which I suspect is why so many rural folks find cites overwhelming (still! ), and why scams still work. Good advice today still, and not just for immigrants. Interesting, practical advice. I doubt my ca. 1690 immigrant would have had such information as regarding baggage . . . .